Gingival (gum) recession is a condition in which the margin of the gums surrounding the teeth begin to pull back, exposing more of the tooth’s root structure. It is a very common condition for adults, especially those over the age of 40. Although gum recession can be quite common, it should be taken seriously. It can cause a number of problems including tooth decay, sensitivity, a compromised appearance, bone loss, and even possible tooth loss. Often times, recession can occur due to overly aggressive tooth brushing, periodontal disease, genetics, teeth grinding or clenching, and even tongue jewelry. Gum recession is a condition that occurs gradually. It is often referred to as becoming ‘long in the tooth’. Many times it goes unrecognized or untreated until the teeth become sensitive or the smile begins to look less attractive. Luckily, there are several ways to treat gingival recession. 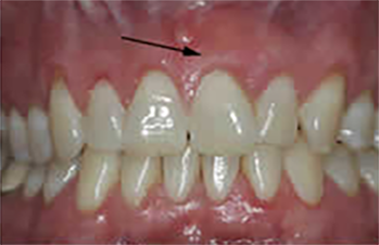 A new technique called the Pinhole Surgical Technique can successfully treat gingival recession. This technique is a sophisticated way to move receding gingiva back into place without grafting surgery. It provides adequate root coverage and generally doesn’t require any cutting, stitching, or downtime following the procedure. Many people choose to treat gum recession with a connective tissue graft procedure. This is where your own connective tissue is taken from the side of the palate (roof of the mouth) and used to cover the area of recession. Another treatment option involves using allograft material such as Alloderm™, Perioderm™ which is a freeze-dried donor tissue to cover the areas of recession. 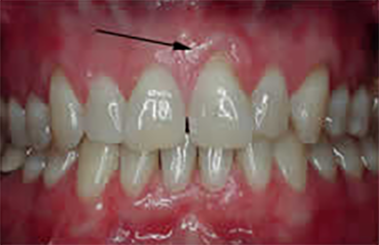 Gingival recession is best treated early. If you are experiencing tooth sensitivity or have noticed your teeth looking longer, you should contact a Dr. Wiland to have it treated before the condition worsens.